I believe this is very important. Autistic people seem to be living in a totally separated world, which makes people to just draw a line between them. It is actually sad for me to see because people just do not try to understand them and busy separating themselves from it. All they need is love and like what it says, it is going to work as a ‘bridge’. This will make not only normal people be opened but also autistic people be opened up as well. 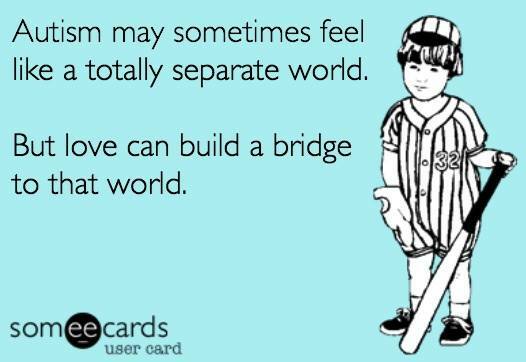 Love is one of the way or perhaps, the only way to reduce the distance between autistic people and others. ← Pictures from My Sister! 😀 and for those of us autistics like myself who just weren’t programmed to want to make friends, a lot of patience and understanding is necessary if you want to get to know me.